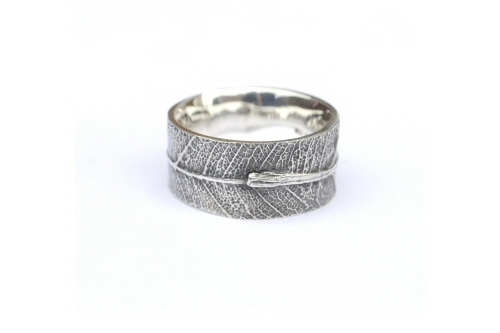 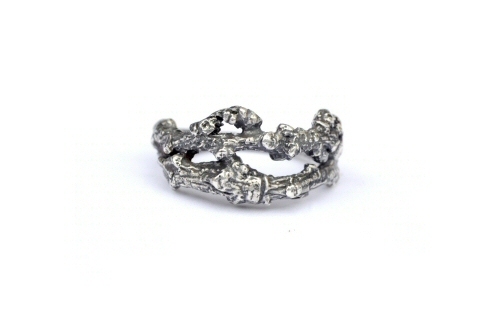 Meadow walks in the countryside collecting dried grasses were the starting point for these rings. 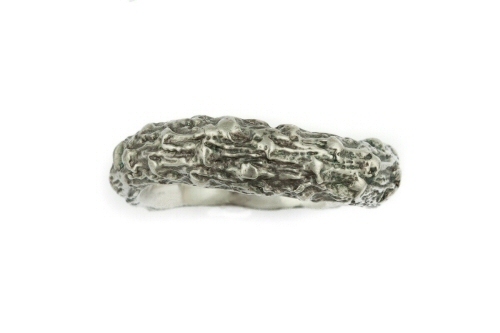 I'm drawn to the repeated pattern of rye grass, the rye grass seeds wrap around your finger to create the ring, then cast from life into solid silver band. 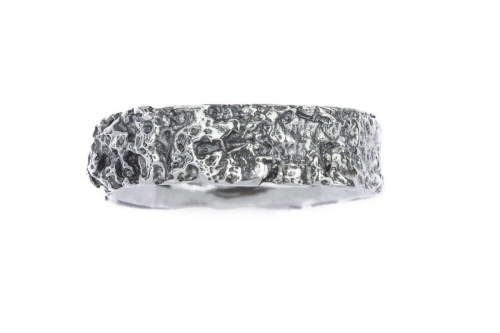 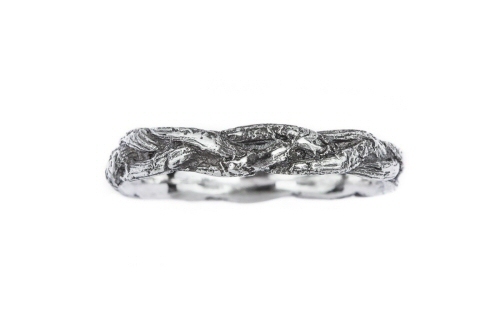 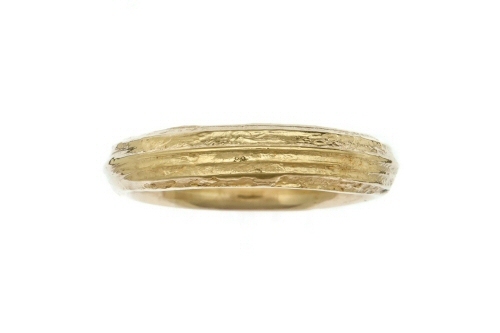 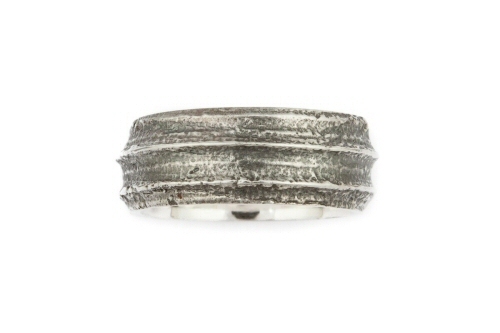 This solid silver rye grass ring is 5 mm wide, the ring is darkened before a final polish to highlight the finest details, the inside has a high polish. 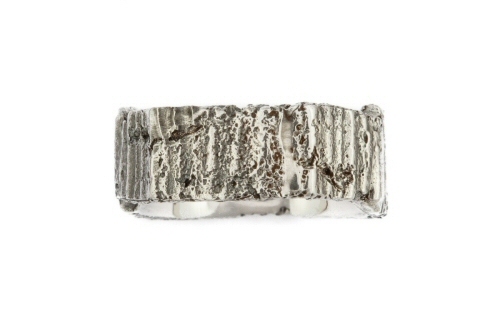 The rye grass band can be used as a wedding band, unisex in design it can worn on its own, or stacked with other organic bands. 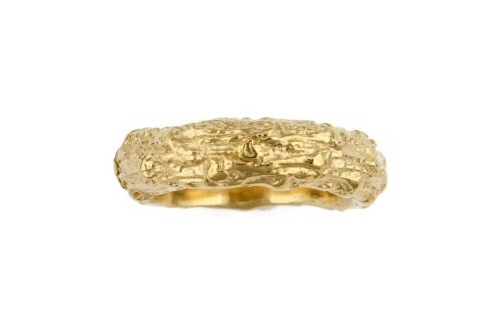 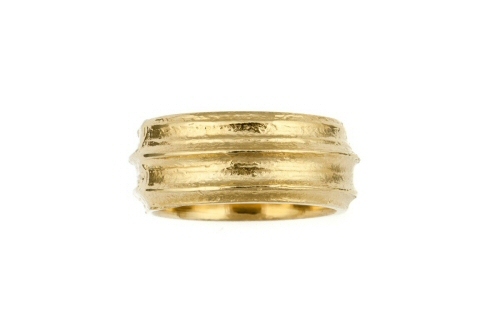 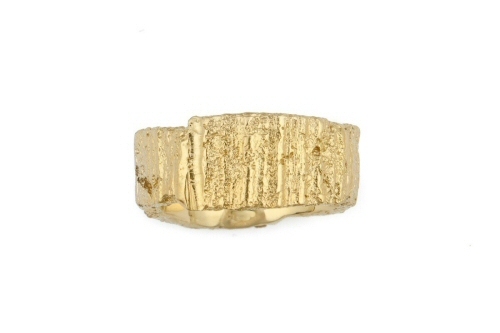 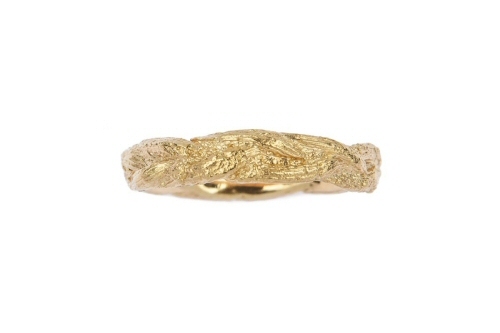 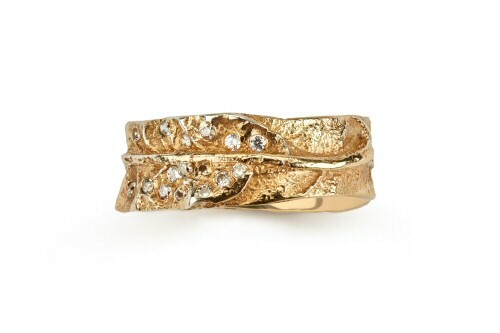 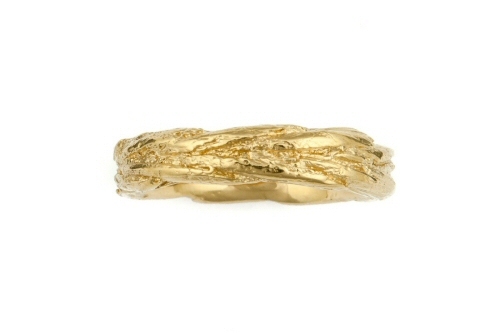 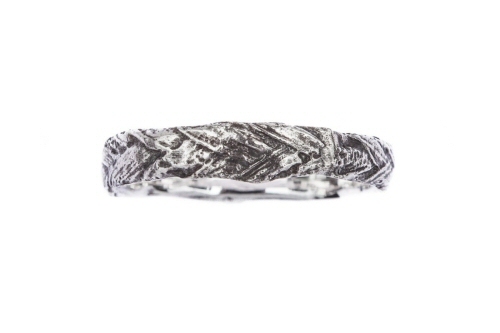 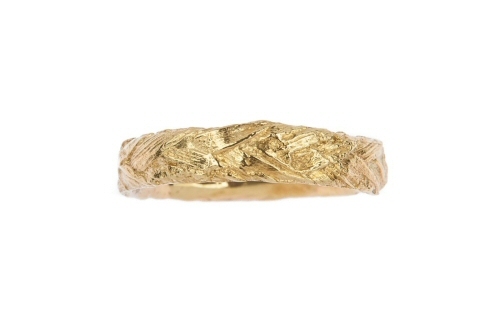 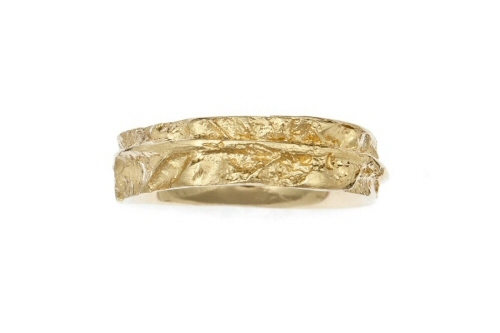 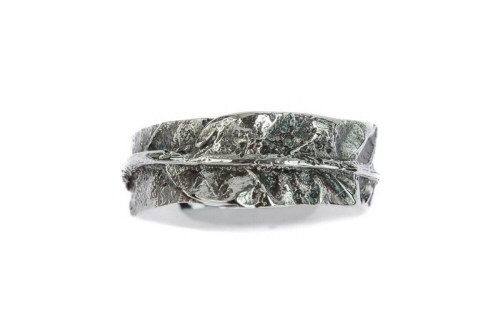 For a more delicate band, there is a fine rye grass design, they can also be made in gold. 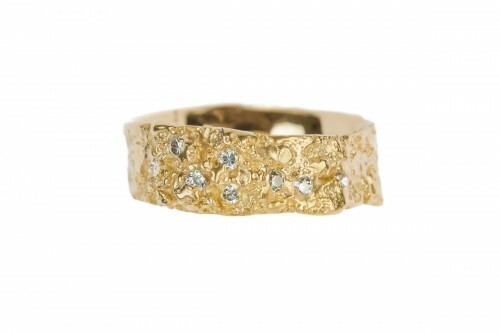 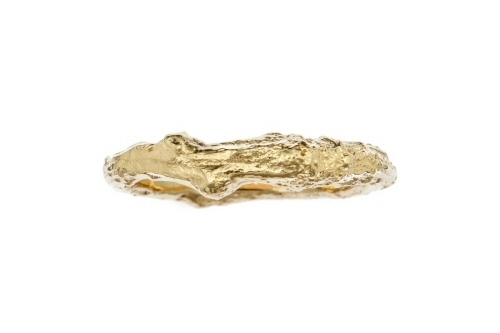 All pieces are handmade in our Oxfordshire studio, with a Birmingham hallmark.